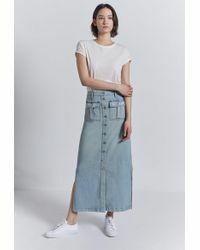 Co-founded in 2008 by design duo Emily Current and Meritt Elliott, Current Elliott went on to become a highly sought-after brand famed for their innovative denim collections. 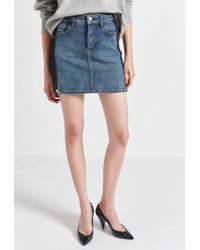 Current Elliott clothing has been spotted on fashion-forward A-Listers including Kim Kardashian, Whitney Port and Olivia Palermo and continues to provide stylish women across the globe with decadent denim staples. 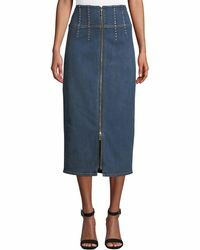 The same flawless fit and luxurious fabrics are evident in the Current Elliot skirt collection. 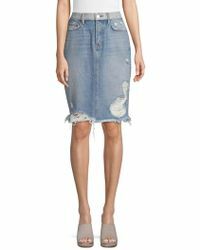 From classic blue denim skirts to leopard-print skirts and distressed designs, Current Elliott skirts exude timeless glamor while being decidedly fashion-forward. Eye-catching prints and coated denim designs will add a touch of style to your new season repertoire. Explore this edit of Current Elliott skirts and turn heads this season and the next. 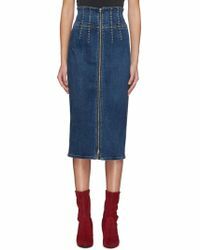 Showing 382 results for "Women's Current/Elliott Skirts"